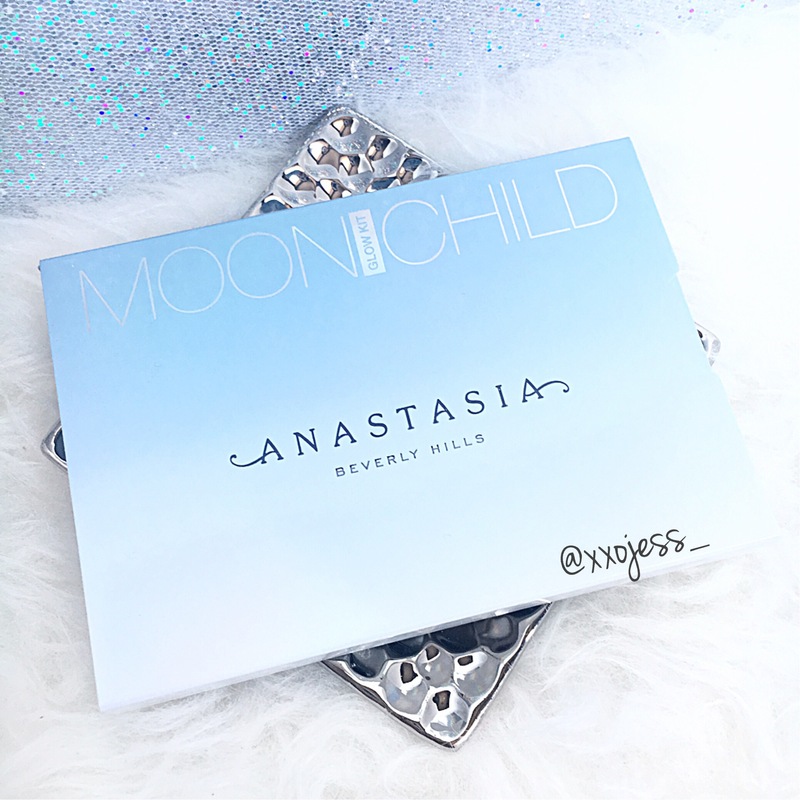 Today I wanted to share my first impressions with you on the new Anastasia Beverly Hills glow kit in Moonchild! I wanted to give an entire review with me wearing it but unfortunately I haven’t been feeling well. I believe I’ve been suffering from migraines in the past week or so (I’ve never had one before) but it may be due to the weather. Who knows! Anyways, this palette retails for $40 US, but quite a steep price for us Canadians. It was released exclusively on the Anastasia site, so Canadians have to pay about $20 in shipping and then duties and taxes…not fun! The interesting thing about this palette is that they have a metallic finish to them. You can use them as a highlighter or even eyeshadow! I think they would look absolutely stunning on the eyes! 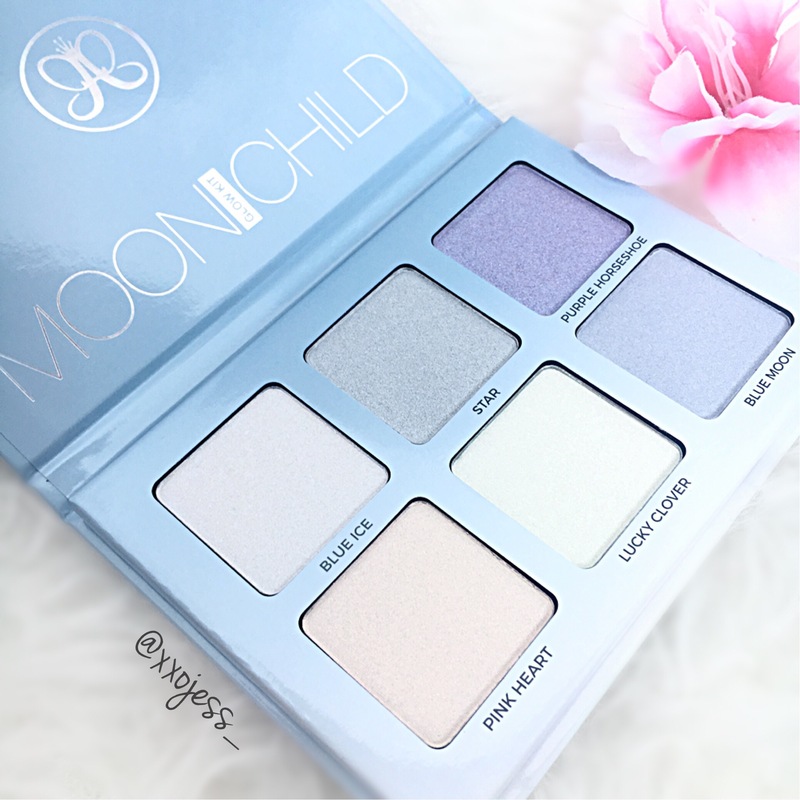 This palette comes with six incredibly beautiful shades that are in my opinion, very different and exciting to the highlight world! All of these shades have a duo-chrome reflect to them which I really enjoy! These cool toned colours could look really interesting in my opinion on the face. I’m not sure I would wear them to an interview lets say haha, but for those makeup junkies who have the same gold highlighters–this could be something new and fun to play around with! I can definitely see myself wearing all of these shades depending on the look I’m going for. They all swatched really nicely and they feel really creamy! They definitely feel more creamy than the first initial glow kits that have come out. It’s stunning! I can’t wait to get mine! Such pretty swatches! 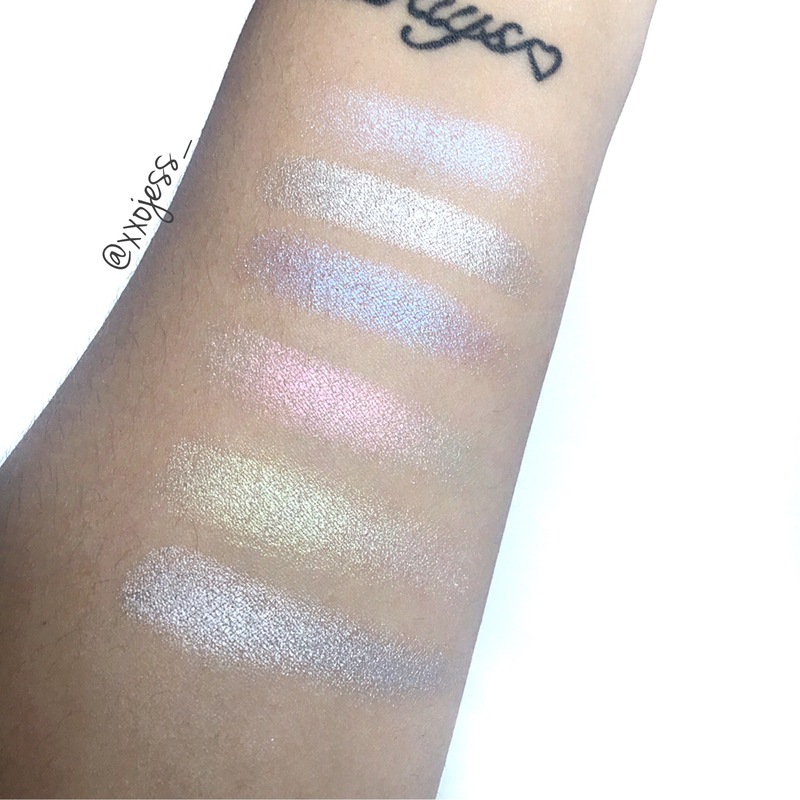 These colours would look great on you as eyeshadows. It’s beautiful!! Loved your review! Pingback: [Giveaway] Anastasia Beverly Hills!